The rains have returned to Whatcom County, signaling the warmer weather of spring and reminding us of what it takes to makes our region so lush and green – water. We can hear it tapping at our windows and rushing in our rivers, lapping on Lake Whatcom’s shores and trickling into storm drains. The cloudbursts of spring bring us more than flowers and seedlings; as the water falls on our roofs, lawns, and streets it carries with it all the chemicals and grime on those surfaces. Metals are eroded from our roofs, pesticides collected from our lawns, and oil and brake pad dust washed away from our streets. For decades, RE Sources for Sustainable Communities has worked to protect the Salish Sea from the harmful contaminants in our stormwater with our North Sound Baykeeper program. The Baykeeper Team is charged with protecting and enhancing the marine and nearshore habitats of the northern Puget Sound region. At the end of last year, the Baykeeper Team conducted sampling at stormwater outfalls that drain to Bellingham Bay. Unfortunately, we have discovered high levels of metals and polycyclic aromatic hydrocarbons (or PAHs) in our stormwater. Why is this important? Metals, like copper and zinc, are common in stormwater but are toxic to marine life. According to the National Marine Fisheries Service, copper is toxic to many of the organisms in the fish food web and disrupts salmon sensory systems. PAHs, also common in stormwater, are complex organic pollutants that are found in fossil fuels, and are formed by incomplete combustion of wood, coal, and diesel fuels. They are carcinogenic to laboratory animals and acutely toxic to some fish species. The content of our stormwater is not unique to Bellingham. Urban areas throughout the developed world struggle with similar issues. The difference for Bellingham is that our stormwater is discharged to Bellingham Bay. As we learned in January’s Bellingham Herald article, “Decline in Bellingham Bay marine life eludes quick diagnosis”, a recent study of the health of our bay showed that this water body is in serious trouble. The causes are still under speculation but the metals and PAHs in our stormwater may be contributing to a decline in diversity of species and contamination in sediment. We all agree that the health of Bellingham Bay is important to our community. That’s why RE Sources is launching the Neighborhood Clean Water Project to coordinate the neighbors of Lower Whatcom Creek and Squalicum Harbor watersheds to identify the sources of pollution and find ways to remove contaminants from our stormwater. The kick-off meeting for this project will be Tuesday, March 18 from 6:30-8 pm at RE Sources’ Sustainable Living Center above the RE Store. This meeting is free and open to the public. During the project’s first year, we will focus on data collected from the C Street and Broadway Street outfalls on Whatcom and I & J Waterways, respectively. These outfalls drain portions of the Lettered Streets, Columbia, and Cornwall Park neighborhoods. RE Sources will work with watershed neighbors to identify the sources of this pollution and, where possible, attempt to fix some of these sources. We also hope to expand this project to include other watersheds in the years to come. Over the years, we have learned that the more people know about a water quality problem, the more empowered they are to fix it. 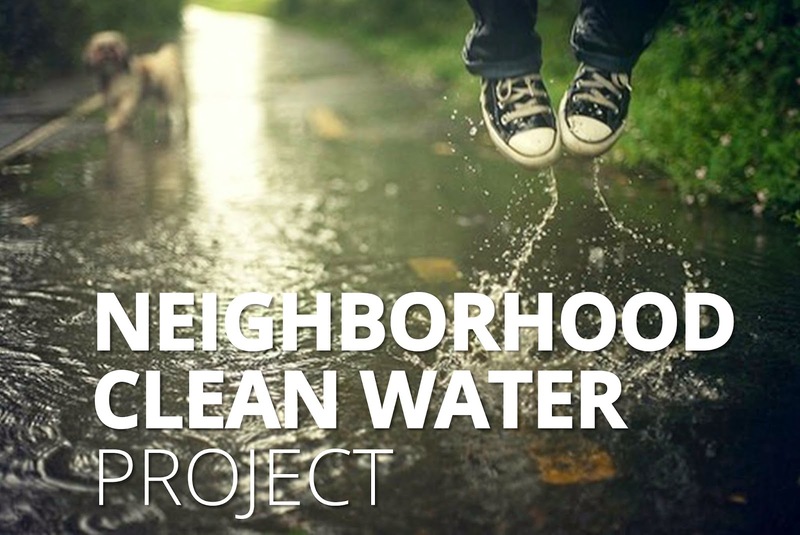 We developed this project because there are things we can do as a community to improve water quality and we know there are people in Bellingham that want to help. We can’t control the rain falling from the sky, but we can make the stormwater it creates cleaner before it reaches Bellingham Bay. For more information, visit www.re-sources.org/programs/baykeeper. Wendy Steffensen is RE Sources’ North Sound Baykeeper, responsible for protecting and enhancing the marine and nearshore habitats of the northern Puget Sound region. North Sound Baykeeper is a program of RE Sources for Sustainable Communities. RE Sources promotes sustainable communities and protects the health of northwestern Washington’s people and ecosystems through application of science, education, advocacy, and action. Simply super comments are posted here upampanama.. The information which you people are given are really superb biteb..!!! The information which you people are said here are really good radiocaceres..!!! Simply super comments are posted here combo2x1..